*DISCLOSURE* Thank you to Saffron Road for providing product samples in order to facilitate this post. All thoughts are strictly my own. We are always on the lookout for healthy snacks that taste good and Saffron Road is one of our go-to brands for goodies the whole family loves. 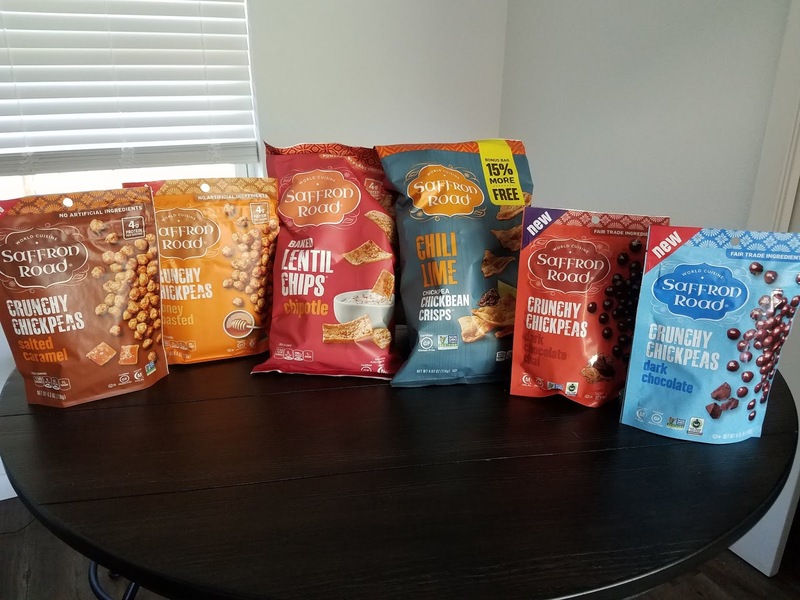 Saffron Road offers so many options when it comes to snacks. 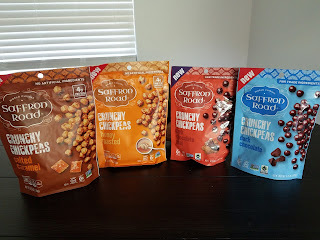 Today we are going to share our favorite crunchy Saffron Road goodies...a few savory and a few sweet. Saffron Road has several flavor options their Lentil Chips and Chickbean Crisps lines, a flavor for every mood! 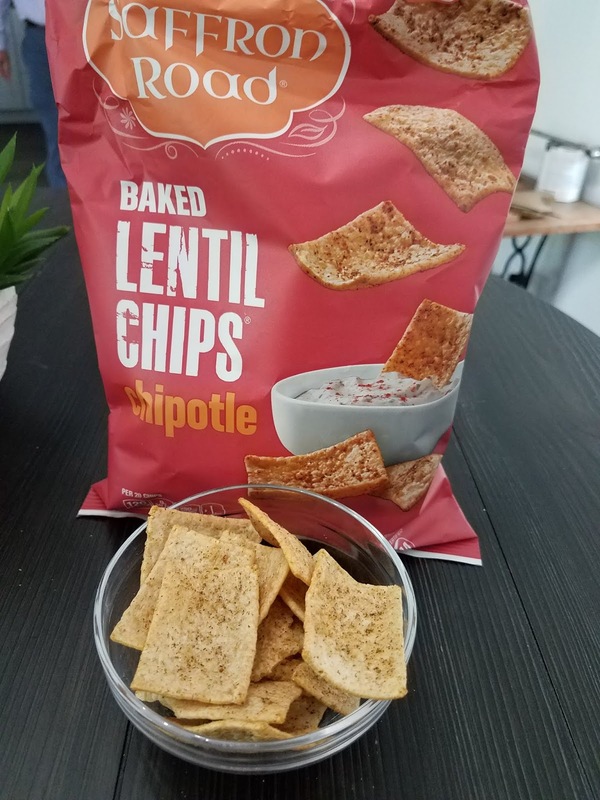 Lentils are nutritional powerhouses dense in protein, high in fiber, and low in fat, making these chips a great substitute for greasy potato chips. We love the chipotle flavor! Made from crunchy chickpeas and a colorful mosaic of real vegetables then dusted with a kick of chili lime seasoning. 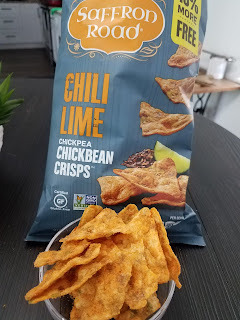 These are a great replacement for flavored tortilla chips and so tasty! 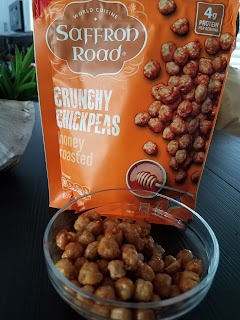 From ancient times, across Asia, India and the Middle East, smart snackers have been enjoying the crunch of chickpeas. 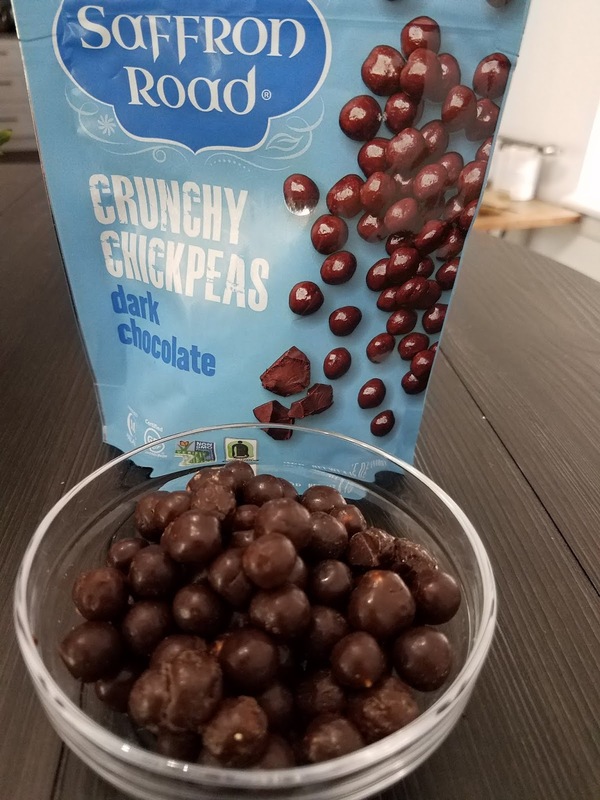 And because they’re a good source of protein, every bite is guilt-free. What's better is that Saffron Road uses organic, non-GMO Project Verified chickpeas! Roasted to crunchy perfection and swirled in sweet honey. 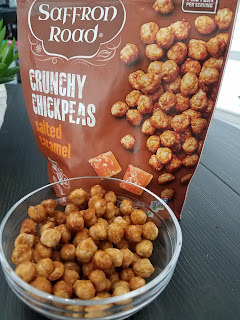 A compares these with the taste of "airplane peanuts." Roasted to crunchy perfection and swirled in salted caramel. The perfect blend of salty and sweet! Cooked to crunchy perfection and enrobed in decadent dark chocolate. You really can't go wrong dipping anything in dark chocolate! 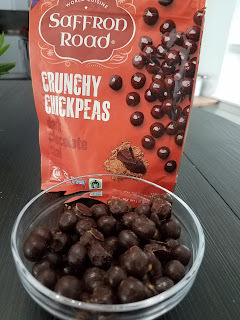 Cooked to crunchy perfection and enrobed with decadent dark chocolate and chai spice. These were our faves. Dark chocolate with chai spices mixed in? Yes, please! 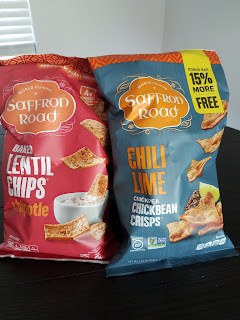 If you are looking for lighter snack options this Spring, check out Saffron Road...all of the taste and none of the guilt!